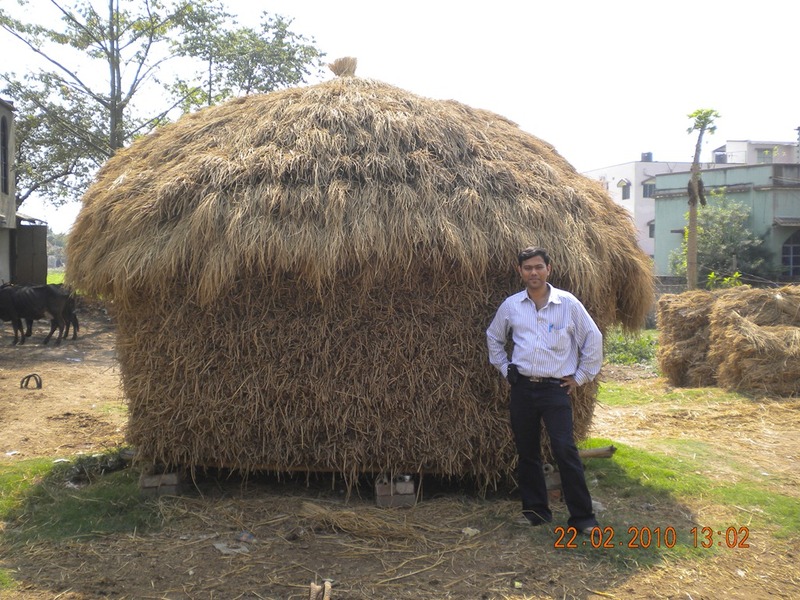 The rural-urban health gap in India is an inconvenient truth – one which we may not acknowledge exists, but it does. The fact remains that even students who come from interior villages, once they get their degrees done, hardly tend to return to their roots. 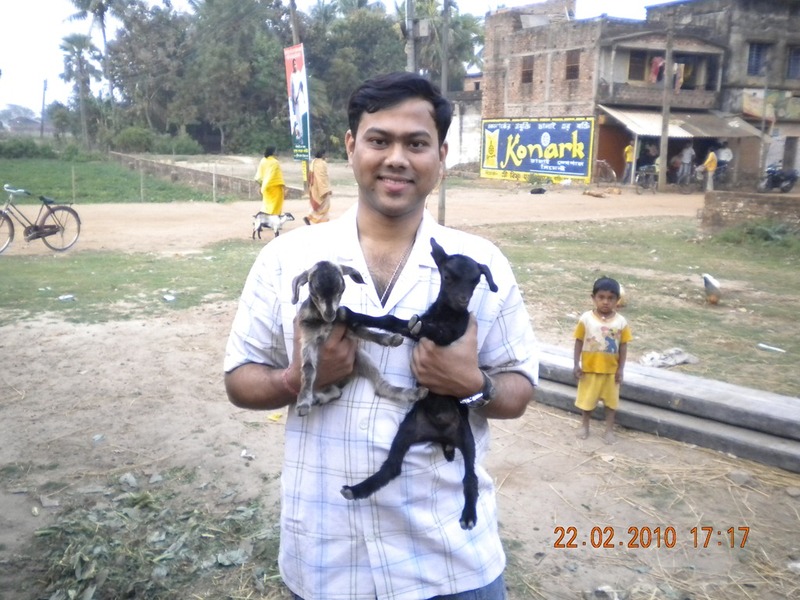 The Newspaper Headlines today reminded me of my memories of working in a community health center in rural West Bengal. A lot of my contemporaries are saying that they have managed to escape this “unfortunate” rule just by the skin of their teeth but I think this is a positive step, provided that the GoI and MCI keep an eye on development of infrastructure as well. But more of what I think about this ruling in a later post. In this post I will ruminate fond memories of spending a short and enjoyable stint in a rural hospital where, for the first time, we tasted what it feels like to work on our own (since during most of our internship, except ER postings, we were basically doing scutwork for the residents). 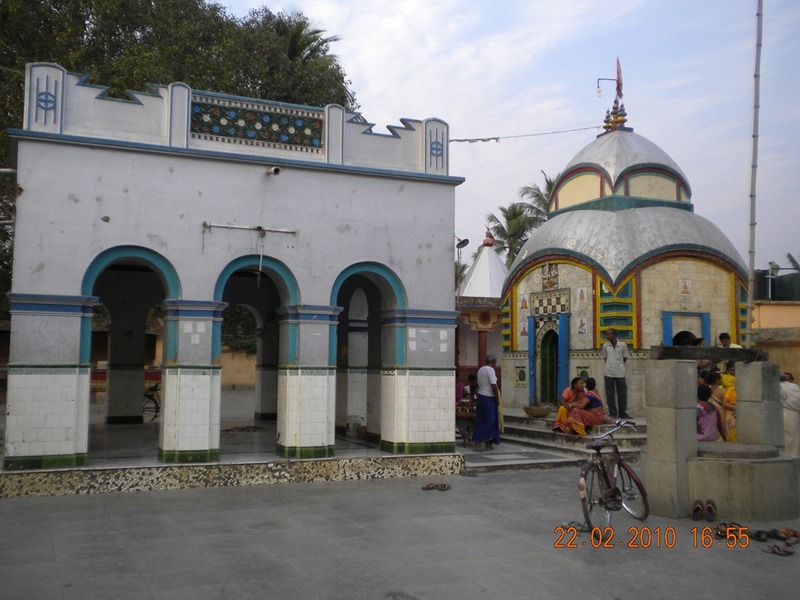 The place where we get posted is a pilgrim town and has a number of temples in close proximity. But thankfully, we were not there during the “pilgrim season” when there are literally hundreds of thousands people pouring in from all over India everyday (which means all the more emergency cases to deal with). However, we saw a number of cases, we had the experience of working on our own (which might be a tad dangerous for the patients) and for us city kids, it was great to be out there in the countryside for a change. The community health center we worked in was attended by a large number of patients in the OPDs every morning and though there were limited inpatient services (almost exclusively confined to Obstetric cases), the work load was pretty heavy. Amongst the patients I dealt with, there seemed to be a profusion of diarrhea, scabies, upper respiratory tract infections and UTIs. They were pretty simple to treat and results were pretty good on follow up. We had an attending who took care of the obstetric cases and we were glad to have that off our hands… or at least I was! True, I did miss my laptop and mobile connectivity and the buzz of being in the city (the folks there seemed to go off to sleep by 8PM and be up by 5AM! Unthinkable hours for me! )… but that said we did have a lot of fun! 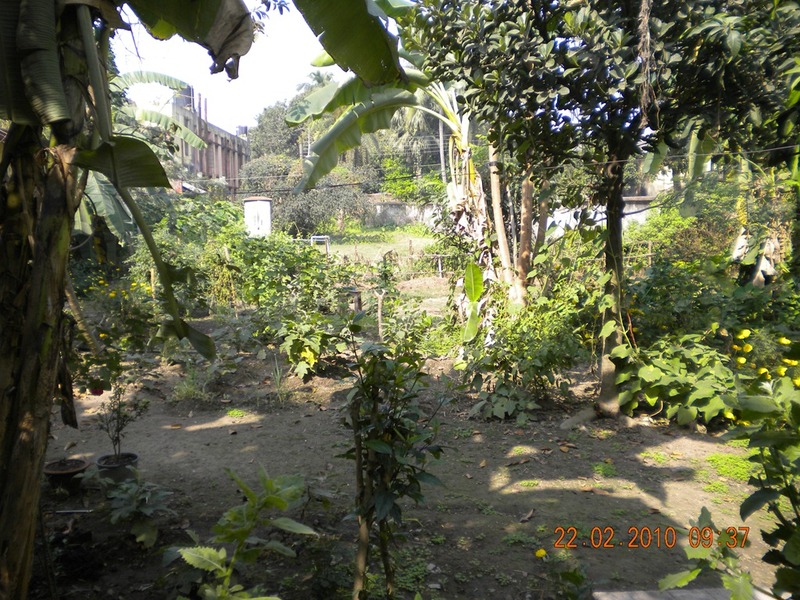 There was a small kitchen garden of sorts behind the rooms we were allotted to stay and though none of us wanted to do any cooking, it was pretty cool to know that we had the option of doing so if we wanted to! We had a lot of fun exploring the locality! I do have a family farmhouse in a village-ish place (I hope to go there this Mango season – we get an awesome crop every year – will post pics then), but this was an entirely new thing for me. AND my city-loving friends. It was still wintery and it was a brilliant experience to walk around with the sun on our backs! 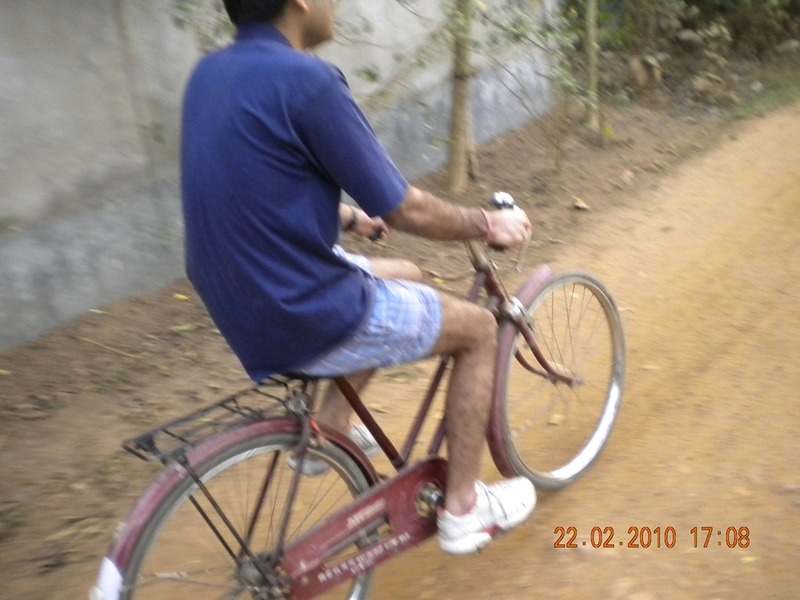 We hired two rickety bicycles and went off exploring the countryside once we had closed OPD. Though we had achy calves the next morning and sore backs from all the bumpy rides, it was a joy to go out cycling once again. It not only made me realize how unfit I had become, but also showed me the unspoilt beauty of the Indian countryside! The people were simple, trusting, hard working and honest. And when they heard that we were the new doctors in the hospital, they accorded us respect that we were hitherto unaware of! They literally invited us into their homes and hearth and made me feel, for the first time, what it meant to be a doctor. In this age of consumer-provider relationship, we are on the brink of forgetting the romance and social privilege that was once given to a doctor. In order to reach the place we had to make a train ride for several hours and since we chose our travel times to avoid the office rush hours and traveled in a pack, it was great fun for us all. In Indian local trains, people hawk a lot of junk food and we ate a ton of them (without falling ill – kudos to our secretory IgA!). I ate a dozen or so HUMONGOUS bananas on a bet! And of course, one of the things we insisted on was to eat the spicy, totally unsanitary yet mouth watering guava-mix (the very thought of it is making me salivate as I type this out. Thank you so much Pavlov!) 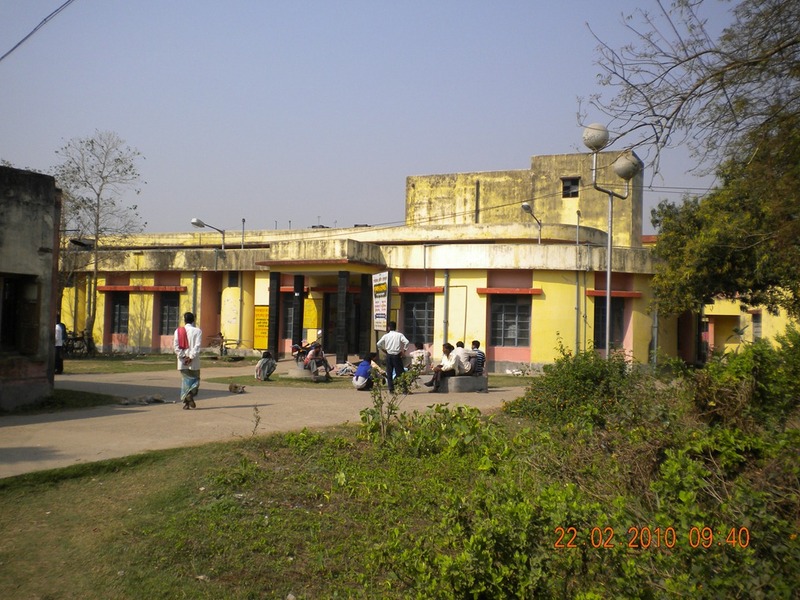 that one guy sold on the railway station. We ate it on our ways in and out and I believe one who has had that will not be forgetting it in a hurry! The real pleasure was in being there with people who were great friends (and still are) of mine! One of the most difficult times in the career of a medical student is Internship. The work hours are long, the bosses are (more often than not) crabby residents, the work itself is almost always unrewarding and menial… but a lot of these issues can be bypassed if one gets good friends to work with in course of Internship. And I was lucky to be in the best of company when it came to internship. Not only did I have friends to work with, I had them to laze off and spend leisure time with as well. I am sure few intern groups have bonded as much as ours did. This was also instrumental in making our rural posting a fun stay. What otherwise may have deteriorated into a boring, uninspiring post where one worked all day and spent almost all the off-duty hours in a drunken haze (booze was cheap in the place… come to think of it booze is cheap in almost all religious hotbeds. Coincidence? ), became a raucous fun riot thanks to them. 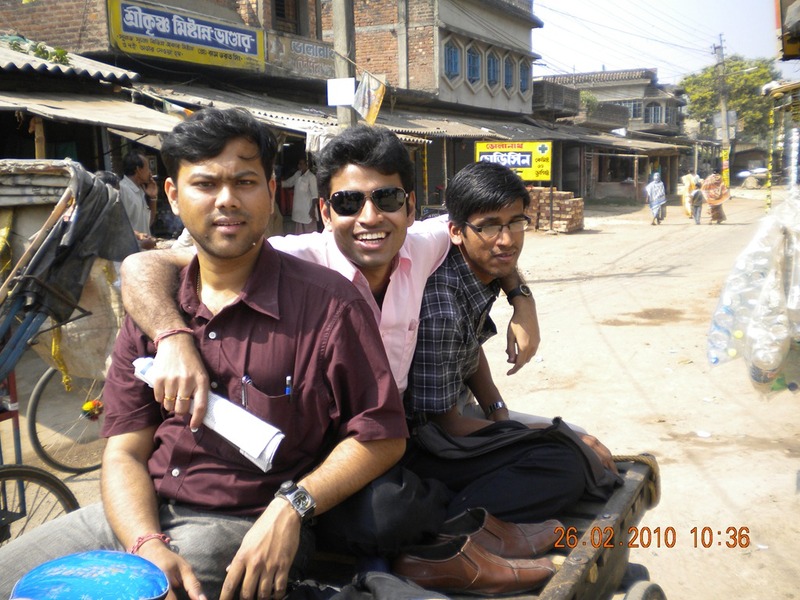 I would like to tell Dr. Sujoy Chatterjee (Surgery resident, AIIMS – guy in blue tee), Dr. Manidipam Chatterjee (Anesthesia resident, CNMC – guy in red stripes) and Dr. Sitangshu Chatterjee (Co-perspirator in PG toils – the third guy on the pedal-van) that with me in tow, we formed the most awesome intern group ever. Thanks for the memories. I hope the joy of those days never fade. Well, sorry for the sappy, nostalgic post. It will be back to regular programming from the next post onwards – where I dissect the latest plan to send post-internship MBBS doctors to villages for a year and thus extend medical training by one more year. Stay tuned. 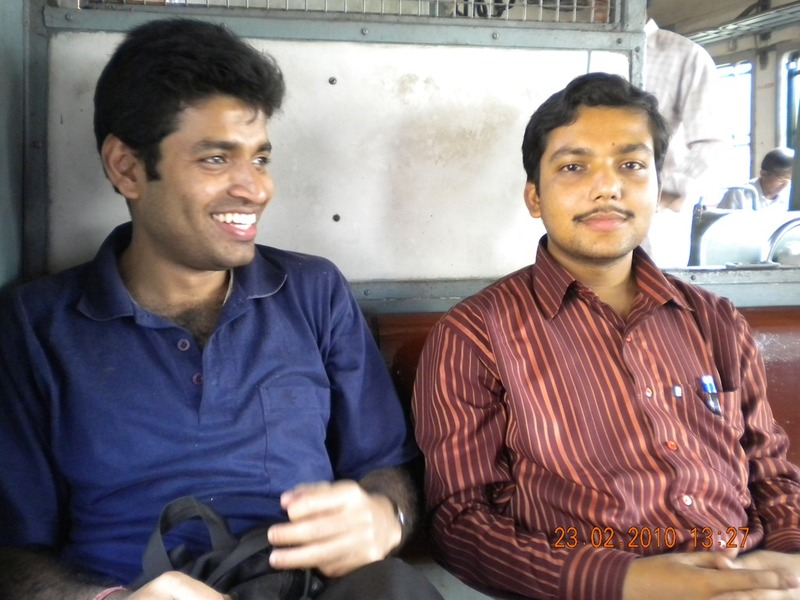 Tags: Internship Stories, Medical School, Memories, Personal, postaday, Rural Posting. Bookmark the permalink. Previous post ← Facebook won’t pay anybody. STOP reposting these images! Internship certainly is a terrific period. Sharing out responsibilities, bearing responsibilities, learning/ arranging the ‘great-indian-jugaad’, observing the docs and learning the actual practical ways (compensates for all the rote-learning of the previous 4years)… Internship connects us with the people- the patients and for me for the first time ever the enormity of the title-the degree we are earning came into picture. The fact that we ‘practice’ stuff on patients really freaked me out but yup thats how it has been done always and that is how we learn. Its been just a week since I finished my internship and I already miss it! It certainly was the best of times…. All that the Government is achieving is to sacrifice the poor and ignorant villagers as “guinea pigs” for future medical practitioners and possibly as a population control measure. In today’s lifespan, it is possible for one to work up to the age of 75 and almost all doctors do work to that age anyway. Give them 50% additional salary for rural postings. 1/ of course you did have fun staying their for 15 days or maybe a month–everyone loves change. but would u love staying their for an entire year. 4. LAST AND MOST IMPORTANTLY. WHY SHOULD HEALTH OF RURAL PEOPLE BE ON THE HANDS OF UNEXPERINCED PEOPLE(“people who do scutwork for residents)?? HEALTH SUD BE EQUITABLE FOR ALL… the governement just wants to fool the aam aadmi by showing that they have send doctors to them whil in reality they are not that !! (remeber u get the mbbs degree only after the rural stint) IS GOOD QUALITY HEALTHCARE ONLY FOR URBAN PEOPLE/….?? Well, you are right of course. All these are very valid arguments. I support sending students to serve in villages, but not interns. They should be sending the PG guys for a year. That would make more sense and that would also provide some specialist care for the villagers as well. How much of experience is experienced enough? 3 years, 5 years, 10 years? What does anyone mean by GOOD QUALITY HEALTHCARE? Does it mean advanced diagnostics (CT/MRI/Cath labs), superspecialty services like cardiology/ oncology etc? If we wait for such dreams to materialize for every citizen of the country, we will have have to wait perhaps forever. We have to reach a compromise, somewhere between delivering the GOOD QUALITY HEALTHCARE and NO HEALTHCARE. The purpose of MBBS teaching and 1 year of internship is that a graduate should be able to identify the common ailments, treat what he can and have the capability to judge which cases require referral. There are district hospitals to refer to, but somebody should be there in the villages to make that decision. Excellently put, Alex! I must say I enjoy reading your well thought out comments on my posts. 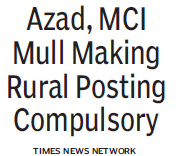 I agree that at the junior level docs need to go serve in villages, but maybe post-internship is a little too early, considering the fact that in MANY places internship is just a namesake activity and people end up learning nothing and only mugging MCQs to crack the PGMEEs. I think once we are done with PGs we must serve a year in villages. That gives the villagers some specialist care and solves the problem of the lack of docs both! Suddenly found this post of you while searching for something else on the net. So much of fond memories. Thanks for this post. 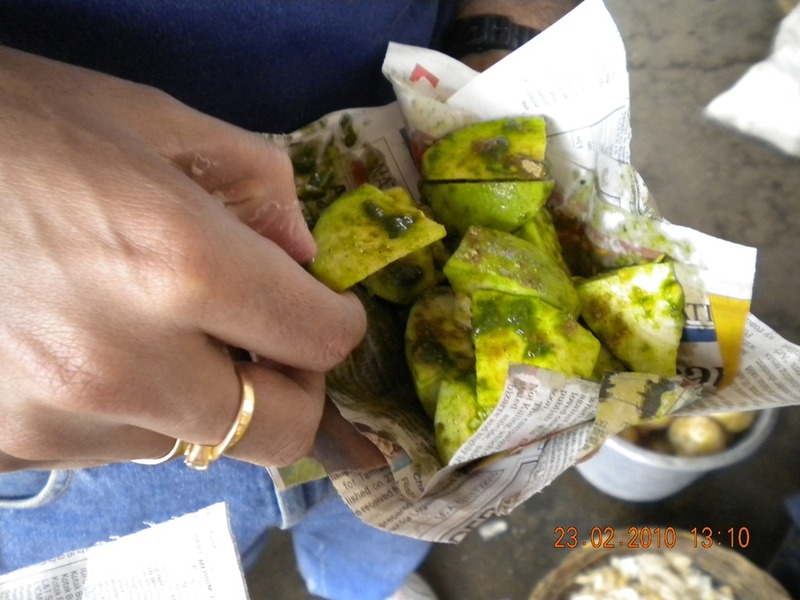 Just one thing to say, till now, whenever we visit Tarakeshwar, we never miss that guava-mix. May be it’s time for a re-union. Ah… fond memories indeed. Thanks for leaving a comment and inciting me to read the post once again. 🙂 It really is time for a re-union. Cannot believe it has been 13 years since we joined Medical College. We are growing old!